How are LCS fans supposed to get excited for the postseason? If you have ever followed a League of Legends playoff series, you know how exciting it can be to watch, whether it is at home or live. The thunder of the crowd, the heart-stopping plays, and the split-second decision making all make for some of the most exciting moments in all of esports. Before the teams head off to the respective host cities, however, the audience has to be led up to that excitement with some great hype content by the production team at Riot Games. Typically, Riot releases a series of videos that gets fans excited for the upcoming games. The LEC has already sent out seven great videos to showcase their playoff race. The LCS, on the other hand, has only released one video so far, and it wasn’t too convincing. The League community has raised many complaints about the difference in quality and quantity that North America has in terms of videos compared to Europe this split. What could be causing such a huge rift in terms of content? For starters, we have to look at the teams and storylines for both regions. In Europe, the playoff scene is completely stacked. G2 Esports is a superteam with a ton of expectations on their shoulders. Fnatic rose from the ashes of its horrible start and now look like one of the best teams in the league again. Origen and Vitality both have veteran players who are looking to prove themselves against the best in the league, while SK Gaming is filled with rookies trying to make a mark on the European scene. There are rivalries that people are dying to watch and every team has a chance to win. Ultimately, Europe has just been more competitive than North America and, as a result, has been more interesting to watch. 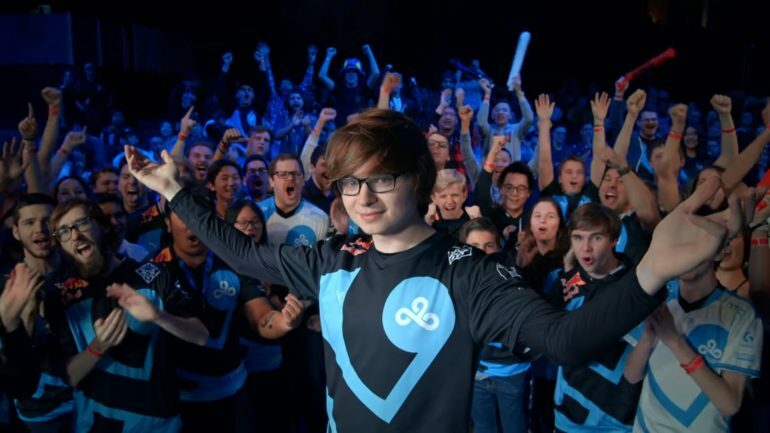 Outside of Team Liquid, Cloud9, and TSM, not many of the LCS’ teams have been amazing. In fact, the region as a whole was pretty disappointing this split, with many teams constantly losing to each other during the regular season. It is easy to see how, in comparison, Europe’s storylines wrote themselves for content later on. Between Fnatic and Vitality, Riot focused on the hardships that both teams had to go through to get to this point in the season. What can the LCS do to step up their content for the playoffs then? First off, even though the competition isn’t as fiery as the LEC, there are still some great narratives that the LCS could use to build some enthusiasm for the games. For example, there hasn’t been any content about the individual matchups in the playoffs, which is a great way to hype up fans for specific matches. Team SoloMid and Echo Fox have plenty of content to fuel the hype, since Echo Fox’s Apollo Price, Nickolas “Hakuho” Surgent, and Colin “Solo” Earnest were the ones to upset TSM in last year’s Spring Split playoffs. However, even if there aren’t any outstanding storylines, it is up to Riot to create hype between the teams through individual players. Watch the video for the quarterfinals match between SK Gaming and Splyce. Those teams don’t have a crazy rivalry, but Riot managed to make the matchup hype by having the individual players speak on the situation and their opponents. Splyce and SK Gaming seems like a hype matchup from this video, even without an outstanding rivalry. Compare this to the matchup between Golden Guardians and FlyQuest. These two teams aren’t the most popular in the world, and yet you could still build hype by focusing on things like Froggen’s first LCS playoff appearance, Rush’s return to the LCS stage, and having both teams trash talk each other a little bit. The LEC even took to making comedy skits with their players and their on-air personalities to build hype for the postseason. This shouldn’t be hard for North America to do either because they have some of the best on-air personalities in League of Legends. People like Sam “Kobe” Hartman-Kenzler, Ovilee May, and James “Dash” Patterson could create some great content alongside the players of the LCS. Pros like Zachary “Sneaky” Scuderi, Yiliang “Doublelift” Peng, and Jason “WildTurtle” Tran have all shown their proficiency in front of a camera, and could make some amazing content. There is plenty of potential for Riot to ramp up hype for the upcoming postseason. Although it’ll take a bit more effort to create content and push storylines, it isn’t impossible and it’ll only make the LCS playoffs that much more exciting to watch when the games begin on Saturday, March 30.